#Rhizo15 ~ Ron Samul, M.F.A. Over the last few weeks, I've been connecting and interacting with Rhizo15 created by Dave Cormier and an ever expanding group of thinkers, educators, and creative people. The idea behind the collaborative connective course is to discuss the topic proposed every week. How and what that conversation looks like is something that is defined by the people involved. On Dave Cormier's blog, he explains that "Rhizomatic learning is a way of thinking about learning based on ideas described by Gilles Deleuze and Felix Guattari in a thousand plateaus. 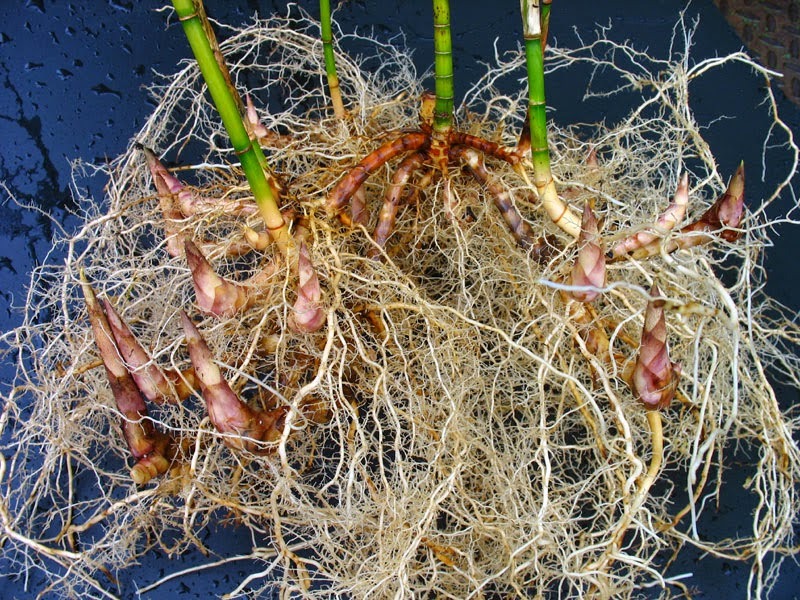 A rhizome, sometimes called a creeping rootstalk, is a stem of a plant that sends out shoots as it spreads. It is an image used by D&G to describe the way that ideas are multiple, interconnected and self-replicating. 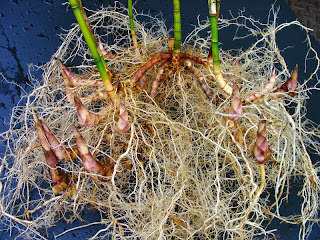 A rhizome has no beginning or end... like the learning process." During this course, there have been some fascinating conversations, connections, and interdisciplinary ideas that have really changed the way I look at learning. Two projects that inspired me to action was the idea of subjective learning. I took two students in my writing course who were doing really well. I asked them to take the last two weeks of the course and explore and create a subjective learning experience. I wanted them to advance some idea or work they started in the course and bring it back to me. I wanted them to have the freedom to explore, work, and change their vision of learning and hard work. The results of that experience are coming in a blog post that will end up HERE. The other creative idea was to write a story about a student that is involved in a rhizome course. It is a strange story about a girl who begins a class that never starts and ends up realizing that she isn't the student, but the teacher, the student, and the curriculum. Check it out in its rough draft form here. The most impressive and exciting part of this experience was the complete and utter uncertainty I felt entering this very open and creative group. It wasn't that I was fearful, I simply didn't understand how it worked. I didn't understand how to get in, how to participate, and how to give people feedback. It seems that social media (Facebook and Twitter) were the nexus, and people established blogs to expand their ideas and post different kinds of media (photos, video, articles, and even radio). There is so many good reasons to jump into the world of unconventional learning. It is in this type of experimental thinking and change that we can develop some of our most significant and unseen drivers to push our learning, thinking, and connections to one another. Check out my blog and read some of my thoughts on this world of unlearning and subjective ideas in and out of the classroom.